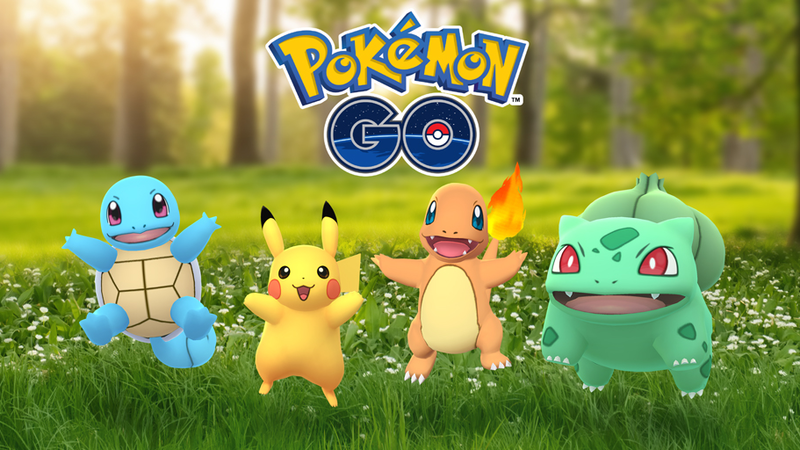 Pokemon Go allows players to assign the creatures they’ve captured as their Buddy Pokemon in order to earn free Pokemon Candy. But how does this system work? Our guide will break down everything you need to know about the Buddy Pokemon system in Pokemon Go. What is a Buddy Pokemon? A Buddy Pokemon is the creature players have currently assigned to be their Buddy. Any Pokemon can be a Buddy Pokemon, but players can only have a single Buddy at any one time. This Buddy Pokemon will appear alongside the player’s avatar in the bottom-left corner of the screen when viewing the game’s map, and users can also view their Buddy Pokemon in a larger form by tapping their avatar to view their profile screen. Finally, players can view their friends’ Buddy Pokemon by tapping on each friend on their in-game friends list. What does a Buddy Pokemon do? Technically, the Buddy Pokemon doesn’t do anything, but Pokemon Go will reward players with free Pokemon Candy over time based on their current Buddy. Specifically, players will earn Pokemon Candy for their Buddy Pokemon each time they walk the required number of kilometers. The required walking distance varies depending on the Buddy Pokemon. For instance, when Magikarp is their Buddy, players will earn a free Magikarp Candy for every kilometer they walk, while having a Pokemon like Onix or Eevee as their Buddy will allow them to earn the Onix and Eevee Candy each time they walk 5km, and so on. This required walking distance can be as high as 20km. Check out this handy chart on The Silph Road to see the walking requirement for each Pokemon currently in the game. There are a few more things you should know about the Buddy Pokemon system. Some Pokemon require players to walk a required number of kilometers with them as their Buddy in order to evolve them to their next form. Specifically, players must walk 20km with the Water-type Pokemon Feebas as their Buddy Pokemon before they can evolve it into Milotic (this evolution also requires 100 Feebas Candy). To learn more about these special evolutions, check out our Pokemon Go Evolution Guide. 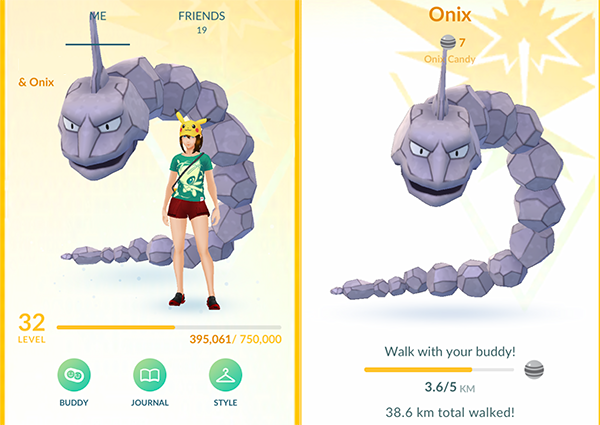 Finally, keep in mind that some in-game Research Tasks will ask players to earn Pokemon Candy by walking with their Buddy Pokemon. In these cases, you might be tempted to immediately switch to a “1km” Pokemon in order to finish the task as quickly as possible. However, when you switch out your current Buddy Pokemon, you’ll lose all of the progress you has made toward your next Pokemon Candy. In the case of a Pokemon that requires you to walk 20km before earning a single Pokemon Candy, you could be throwing away a lot of progress toward a Candy by immediately swapping them out to finish a quest. It’s best to wait until right after you’ve earned a Candy to swap out your Buddy for a new creature.